What exactly is employee engagement? How does it differ from employee satisfaction? Many use the two terms interchangeably as if they were one and the same. Many researchers have studied this topic for several years; however, most, if not all, of their studies were consistent in establishing that there are differences between the two concepts and going as far as to identify the differences between them. Simply put, employee satisfaction deals with the concerns and needs of the employee that essentially keeps them happy and content with respect to their job and/or elements of it (such as compensation, flexible schedules, benefits, etc…). Employee engagement, on the other hand, primarily deals with the level of involvement that employees put into an organization and their duties. It can evoke such feelings as passion to go the extra mile above and beyond what’s normally expected of them from their job/responsibilities. There is no doubt that both employee satisfaction and employee engagement are essential components for an organization to be successful; however, for the purpose of this article, our focus will be upon employee engagement. “[It] is not just a warm, fuzzy thing. It’s about giving people the tools they need to succeed in their careers, which in turn drives the outcomes that we’re seeking in the marketplace. When you look at it through that lens, when people have the tools they need to succeed, feel good about their personal growth opportunities, and receive the appropriate rewards and recognition for their contributions, it’s a win-win proposition” (Harvard Business Review Analytic Services, 2013, p. 5). But where do we begin? How can we help employees become more engaged in their responsibilities? How can we measure or see the impact their engagement is having on the organization? “The best managers are passionate about what they do. Frankly, if you are not passionate about what you do, you have no right to manage others. That said, be sure to express your passion to your people…Let your people know. Once they see and share your “big picture”, then every step your people take will be in that direction” (Quiseng, 2016, para. 8). Let that sink in for a moment. Think about it. If you are passionate about your work and your commitment to your respective organization, then arguably your engagement should naturally follow suit. Employees need to see that. Let me repeat that last statement. Employees need to see that. I am sure that we, at one point or another, have been in a situation or circumstance where we have had a leader/manager who lacked any passion for their work and their commitment to the organization which, consequently, affected his/her engagement in his/her responsibilities. Reflect upon it for a moment. How did you feel during those times when you saw something like this? You are the example in whom your employees look to for support and guidance. Therefore, if you want your employees to be engaged in their responsibilities and in the organization, then it begins with yourself, as a leader/manager, first. Now, at this point, a tiny seed has been planted within your employees. Now what? Like any other seed that has life, if it is not cared for, it will never grow. As a matter of fact, it will eventually die. There is only so much that your example as a leader/manager can do. Your employees cannot survive on “borrowed engagement” for very long. Leaders/managers must use and/or develop appropriate tools to not merely sustain that engagement, but to continually increase it. Here is one tool I suggest you use within your organization that may bring such results. I call it the ENGAGE factor. ENGAGE is an acronym that (inert). It is not a survey or questionnaire. Though these types of data collection methods (and others for that matter) are very useful and important in identifying trends into whether employee engagement is suffering or not, it pales in comparison to the personal interaction between employee and leader/manager. The results and outcomes for an organization hinge upon this interaction. It’s where leadership/management in action takes place and, subsequently, where the changing face of employee engagement occurs. 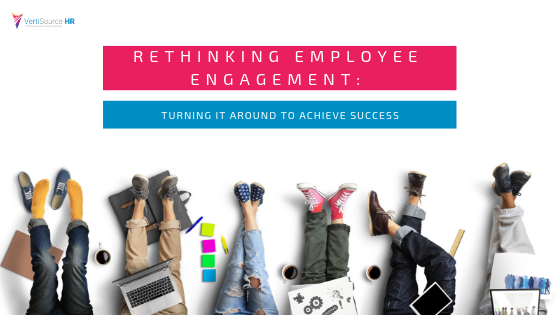 ENGAGE is centered upon this interaction, focusing on key areas to consider as you strive to work toward a higher level of employee engagement within your respective organization. It is meant to serve as a guide for you as you lead/manage your employees and, ultimately, your respective company to success. E – Energize: What inspires and motivates your employees to rise up each day to go to work? Are they even excited to go to work? What makes them excited in the first place? I know that one of the potential areas of opportunity that a leader/manager can tap into is their employee’s passion. At some point or another, we have felt what passion is. We can perhaps arguably say that we know how it allows us to think creatively, imagine wonders, and dream big. Passion usually energizes employees to be their best and to perform their best. To inspire employee engagement, however, that passion must not only be focused upon their responsibilities, but in their commitment to the organization as well. Without both of these elements, then employee engagement becomes meaningless. Understand what they love and care about. Do they love and care about their responsibilities? How do they feel about working for the organization? Listen carefully. Understand them. Jot notes down. You may just need them as a reminder on what you can do as a leader/manager to inspire employee engagement in the organization. This is but the beginning of increasing employee engagement, but trust me: If you can unlock their passion with a particular focus on the above elements, they will eventually become a workforce to be reckoned with. N – Nurture: As you focus on energizing your employees, remember that you are your employee’s first line of support in their success. Make time for your employees and do all that you can to help them develop professionally and personally. Continually help your employees develop their knowledge, skills, and abilities by providing them the tools and resources they need to succeed. Ask them how you can help them develop. Ask them what tools/resources they are lacking. Eliminate obstacles where and when possible and provide them what they need to be successful. Gather as much information as you can to adequately and continually nurture their development. G – Goals: As you work to nurture your employee(s) development, consider setting goals with them to chart their course to success. Work with them to identify goals to set and subsequently reach. That’s right. Work with them. Do not merely assign them goals. Help them align those goals with organizational goals and strategy. Concentrate on personal goals that they would like to reach too. When helping your employee(s) set goals, consider applying the S.M.A.R.T. strategy. Help them set goals that are specificand stretching. Ensure that these goals are meaningful to your employee and work together to develop a process tomeasure their progress. Together, develop relevant and realistic goals that can completed in a timely manner. Make sure that the goals and measurement(s) are attainable and acceptable to you and your employee(s). A – Action: What is the purpose of a goal(s) unless we are willing to act upon them? Frankly, it’s rather meaningless. Once the goals have been set, then is the time to take action. Utilize your employee(s) strengths and assign them projects that are tailored to those strengths and that will contribute to their goals. Provide them with the autonomy they need to complete their projects in a way that is meaningful for them. Continually monitor their progress. G – Growth: Allow your employee to learn from the experience. Have them walk you through how they solved problems or made a process more efficient. Be honest and provide feedback and suggestions. Allow them an opportunity to express their strengths to you during the project and what they felt that they could have done better. Provide your opinion on their strengths and areas where improvement can be made. Work with them on strengthening opportunity areas. Don’t stop there either. Actively look for more opportunities and provide them to your employees so that they can continue their growth. Create the cycle for them for a continuous stream of uninterrupted growth. As you’re proactive in helping your employee(s) growth, they will continue to improve and become better with each passing day. E – Encourage: Above all things, provide encouragement to your employees. I’m sure that we have all heard the adage “sticks and stones may break my bones, but words may never hurt me”. Contrary to popular belief, that is not always the case. Generally speaking, employees like to be encouraged for the good and hard work that they do on a daily basis. This helps keep the fire burning within them. If you want to continue to fuel employee engagement, it must be coupled with encouragement; otherwise, their fire will burn out and you may end up losing them. Recognize their hard work. Encourage them during challenging or difficult times. Praise them for their accomplishments. Compliment them. Keep that fire of encouragement burning and they will become more engaged and give you their very best in their duties and in their commitment to the organization. Afterwards, measure the results. Develop a system that can reliably assist you in measuring engagement initially before using the ENGAGE acronym. Then, measure your employee engagement again after implementing ENGAGE. Analyze and review the results. Look for the gaps. What helped or what hindered employee engagement? Did it even change at all? What kind of an impact will it have for the overall company? Do we need to make any further changes and, if so, what further changes should be made? I would like to share a personal story from my experiences with the last company I had worked for. I was a data analyst and each month, I would work with my managers to set goals and complete projects consistent with those goals. I never had a data analyst position before I accepted this role and I was at a loss on how I was going to contribute to the team and felt very lost when I began my responsibilities. Management was very supportive and encouraging. They knew that I had an active interest in learning Excel and they assigned projects where I would need to utilize the program often. It was a struggle and challenge in the beginning. Overtime, however, as we continued to work together, I continued to grow and improve upon my skills. During the course of this process, I also learned more about myself, particularly that I not only had a knack for data analysis, but that I also loved it too. I eventually became very proficient in Excel and after discovering what I loved doing, it made everything so much better. There was nothing more exciting for me than to analyze data and interpret it. I also loved creating tools to make our processes more efficient as well. My managers knew that and adapted accordingly to me. I worked with them to tailor my goals and actions to be consistent with what I loved to do. I had the opportunity to work on my projects in a way that I wanted to do it. I used my imagination and creativity to create and design reports that would provide meaningful data and information while also using it to create tools to improve efficiency. As I worked on these projects, management continually followed up with me and provided feedback and suggestions for me to consider. I would go over what I had completed, incorporated their ideas, and continued to receive feedback until I had the perfect tool or report that they could use to meet organizational needs. I loved it. They loved it. And they complimented me often for the good work I had done on many of these projects. I felt that I was on top of the world and I was more than willing to continue putting in my best effort for them. This is but one experience and every experience will be different for each employee; however, the feelings of passion in their responsibilities and commitment to their respective organization as I felt in mine are common factors that can result when employees are engaged in the work that they do and in their organization. The ENGAGE factor is a powerful strategy that can bring such engagement into the workplace. Interestingly enough, according to a Gallup Poll conducted a couple of months ago, their findings indicated that roughlyabout 33% of the U.S. workforce is engaged. What do these numbers exactly mean for organizations? Though employee engagement slightly increased from the prior year, it has not shown a remarkable improvement despite the consistent research of the potential impacts that employee engagement can bring to an organization, particularly on such factors as retention, turnover, and productivity as mentioned previously in this article. You, however, can change that. Are you ready to take your employees and your organization to the next level of employee engagement?